Facebook’s magazine-style Paper app, the one that dresses up your Facebook feed with gorgeous photos and throws in newsreader functionality to boot, is available today for download. Meanwhile, the CEO of FiftyThree, the company behind the refined drawing app Paper, is asking big social media to think of the little guys. Georg Petschnigg acknowledged the confusion created by Facebook’s announcement last week, asking politely for Facebook to “stop using our brand name.” It’s understandable. Facebook’s Paper, which is not designed necessarily to replace the company’s regular app (though it very well could) but rather act as an option for those looking for a more enhanced newsfeed experience, has the weight to quickly drown out FiftyThree’s offering in the App Store and search engine results. That’s not an ideal situation for Petschnigg’s brand who added, “an app about stories shouldn’t start with someone else’s.” It seems a reasonable enough request, and we commend FiftyThree for not immediately seeking legal action (though a polite request might be a better course of action against such a behemoth, anyway). Facebook has not commented. Something tells us they won’t be keen to the idea, but we’re hoping they surprise us. 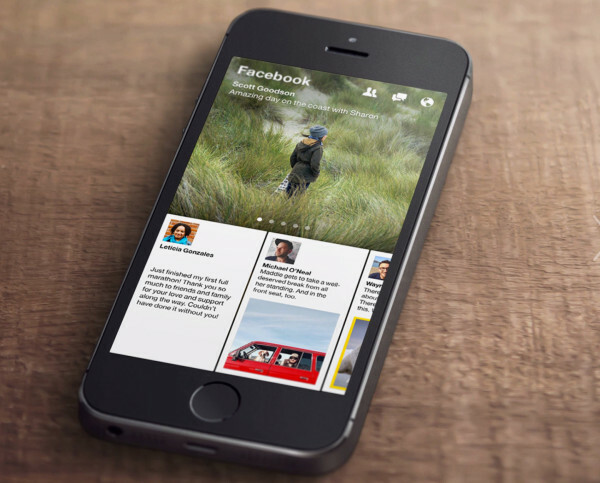 The app currently known as Paper by Facebook is available now as a free download. Check it out in iTunes and the App Store.